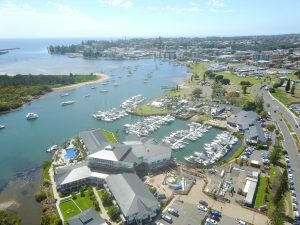 Back in the 1980s a Japanese investor snapped up some land next to Port Macquarie Marina and built what became the area’s most exquisite hotel property. 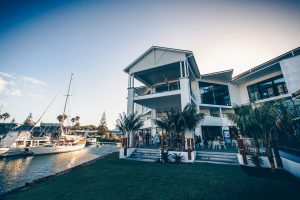 More than 30 years and a couple of owners later, the Sails property was acquired by MATSAL Property Investments and plans were set in motion to create a next-level hotel and function centre. The iconic beauty just needed some love and attention – and a close to $25 million dollar investment. “We are thrilled to be nearing completion on this exciting project. The resort transformation is nothing short of magnificent – each detail from room design, to selection of resort landscaping, furniture and tableware has been carefully orchestrated to create that ambient Hamptons coastal feel. The team is looking forward to welcoming guests to experience this gorgeous new venue,” said Nick McLaughlin, General Manager of Rydges Port Macquarie, which now manages both hotel properties. Gold Coast based Hamilton, Hayes, Henderson Architecture are responsible for the design and have created a stunning fusion of two worlds with Hamptons-inspired architecture blending seamlessly with the lush coastal surrounds featuring fresh white gables overlooking the manicured lawns and tropical gardens with sweeping vistas across the bay. Connectivity to the fantastic marina precinct, which was always part of the resort’s identity, has been retained, giving guests the opportunity to admire beautiful boats moored at the marina and providing easy access to boaties looking for a delicious meal or a few drinks after a day out. Tour groups will also benefit from the improved facilities. The new Boathouse Restaurant and Bar overlooks the marina and the new sprawling all-weather deck and fire table gives people the opportunity for sumptuous outdoor dining. The restaurant also provides a poolside menu for cocktails and snacks. For those who wish to stay a while, the 92-room resort offers a range of premium accommodation, all with balconies or terraces and many of them capturing stunning vistas – making it a stunning dry land destination for people sailing up and down the coast. The new Hamptons-inspired Pavilion will cater for exquisite weddings and events, while a newly constructed event floor is due for completion in April offering a stunning 300-person ballroom with pre function area, dedicated bar and wrap-around floor-to-ceiling windows sure to create a superb entertainment experience. These game-changers will ensure Port Macquarie remains competitive for destination weddings and regional business events. The refurbished property also features a fabulous outdoor heated pool and spa, offering a spectacular view of the Hastings River and surrounded by private cabanas and sun lounges. Guests can also enjoy canoes and paddle boards off the private jetty. Located just a 10-minute stroll from Port Macquarie CBD, there are also bicycles on-site for guests who want to explore the area. 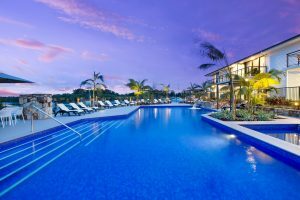 Emerging from its multi-million dollar investment, the stunning refurbishment has cemented Sails Port Macquarie by Rydges as an iconic landmark and one that will out-class its rivals for years to come. Next time you’re at Port Macquarie Marina, drop in for a bite to eat, a drink – or book a room and unwind in inspired luxury. Port Macquarie MarinaPort Macquarie Marina has had some significant upgrades over the past few months, to ensure a better marina experience for guests. Both the male and female restrooms have been totally renovated, offering cleaner, fresher and more private spaces. The Gardening Maintenance Manager Steve Vangamett has the garden looking sensational and new beautiful garden pots bring a tropical feel. The upgrade of all of walkways, gangways and floating fingers is now complete, allowing the marina to offer secure first-class mooring and berthing for vessels up to 85 feet (almost 26 metres). At the hardstand, the area has been concreted and proper drainage installed to ensure compliance with EPA requirements. The car parking area facing Delta Arm has been widened and re-asphalted to give parking to a further 30 vehicles. 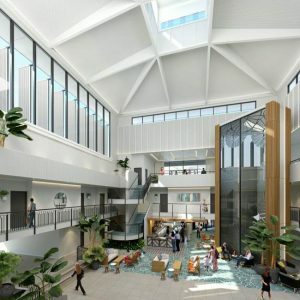 Sails Port Macquarie by Rydges is about to complete their superb renovation, which has added enormously to the aesthetic appeal of the precinct and the amenities for marina guests, particularly transients who may be looking for some dry land luxury. This will be Bill Oliver’s final season with Port Macquarie Marina. After three years as Manager, he says it is time to sail up the coast with his wife for a few months. Bill has contributed enormously to making the marina shine, and everyone has appreciated his friendly, helpful and easygoing nature. Bill’s last day at work will be 13 April, so make sure you drop by to wish him well. Bill will continue to be part of the local community (when he gets back from the Whitsundays) and is looking forward to life in retirement. Locals will have noticed the new eatery The Shack at the entrance to Batemans Bay Marina. An offshoot of JJ’s @ the Marina, it offers a casual outdoor picnic-style dining experience. Opening at 7am seven-days-a-week there is coffee and breakfast for early risers and quick snacks – including freshly prepared rolls and sushi – to grab before a day out on the water. Those wanting to unwind will find sumptuous fresh local produce including seafood and barbeque meals, as well as beer and wine. There is also Norgen Vaaz ice cream to take with you on your stroll by the water. The laid back locale has something for everyone, just drop in and say hello! The Shack is open, weather permitting, from 7am until 2pm Monday-Wednesday and until late the rest of the week, with a seafood BBQ on Fridays and Saturdays from 2pm. Our safety tip this issue is about crossing bars, which can be a dangerous undertaking for even the most experienced boaties. It is recommended you get to know the bars in your local area, such as the bar width, length, depth, changing channels and different land features within them. It is also important to plan ahead by checking the weather forecast and tide times. You should never cross a bar at low tide. If you would like to find out how to cross a variety of different bars safely, view this YouTube video. What is the impact of the latest technology on boating and how will it shape the boating experience into the future? This Huffington Post article ‘7 Trends to Watch Out for In The Boating Industry’ looks at everything from digital handling and mobile adaptations to boats with self-sailing functionality. We all know life jackets save lives. In fact, statistics show eight out of 10 people who drown in NSW while boating are not wearing one. While old-fashioned life jackets might have felt uncomfortable, modern life jackets provide a better fit and there is a style to suit different types of water activities. For a limited time, the NSW Centre for Maritime Safety is offering a discounted price on new life jackets by trading in your old one. The Old4New van will be at Batemans Bay Boat Ramp at Hanging Rock Place on Saturday 10 March 2pm-5pm. New generation life jackets can also be purchased from Boating Industry Association outlets. World Sailing, the international governing body for the sport, officially registered its intent to apply for sailing to be considered for inclusion in the Paris 2024 Paralympic Games Sports Program. The International Paralympic Committee removed sailing from the Paralympics in 2015 and it will not appear in the Tokyo 2020 program. It was excluded along with football 7-a-side for being unable to meet the minimum criteria for worldwide reach. For more information read this story. Eurobodalla Shire Council has earned a near perfect score for water quality at local beaches this summer. All but one of the eleven sites tested since 2002/2003 earned a 4-star rating (the highest possible rating), indicating bacterial levels are safe for bathing according to National Health and Medical Research Council Guidelines. 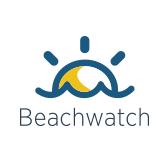 With only Casey’s Beach given a 3-star rating, the Eurobodalla Beachwatch Program confirms the region’s waters are some of the state’s most pristine and the perfect spot for fishing. Port Macquarie-Hastings Council has won the A R Bluett Memorial Award for being the most progressive council in New South Wales. Known as the pinnacle of local government achievement, it looks at all aspects of operation and recognises excellence in delivering progress and value to the community. It is awarded for commitment to innovation, strategic planning, continuous improvement and engagement with the community to deliver on local aspirations and expectations. Adam Meyn has been an arborist for 15 years but when he’s not climbing trees, he’s out on the water looking for the next big one. A Batemans Bay local since the age of 10, when his family moved from Sydney, the ocean and fishing are in his blood. “My dad loved fishing and boating, and he would take my brother Chris and I on outings with him, so I guess I got hooked early on,” says Adam. Adam has been President of the Batemans Bay Game Fishing Club for the past two years and a member of the club for four. “I bought a boat, moored it at Batemans Bay Marina, and joined the club for the tournaments,” he said. “I love the competitions, I’m very competitive, but when we’re hosting big events like the Tollgate Islands Classic, I’m too busy running the show to get out on the water. “I find the water really relaxing, it’s good to be out on the ocean and I love the social interaction. In summer they catch Marlin and in winter Tuna is the fish of the day. Adam and his mates normally just tag and release the fish. Being in business for himself, he says the flexibility is helpful. Interested in promoting fishing as a sport for life, the fishing club offers junior prizes to kids as well as adults. 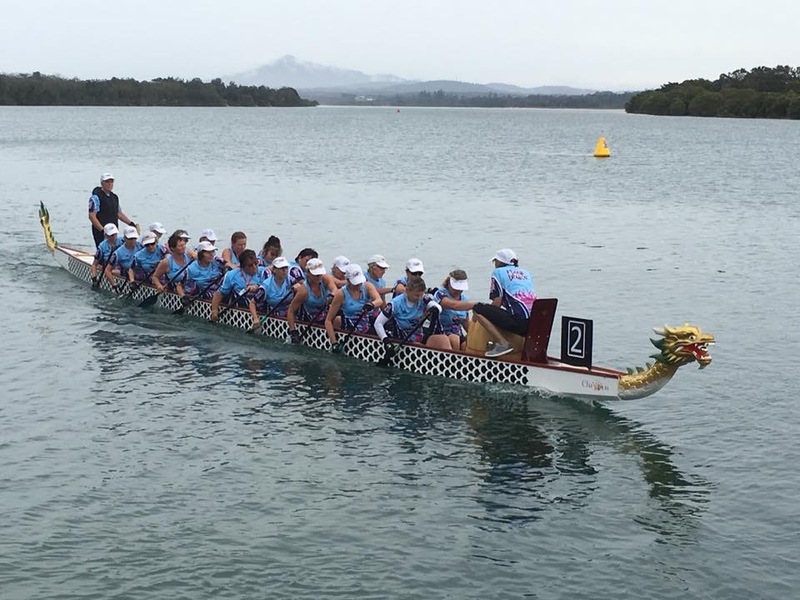 Phil Higgins used to sit and read the newspaper while his wife Jenny went dragon boating at north coast regattas. After a while he decided to have a go, and now they go paddling together four times a week. Last August Phil became president of the Flamin’ Dragons Port Macquarie. “We recently had a membership drive and now have 90 members. A fortnight ago we had another 38 people come along to try it out. It’s a sport that’s really gaining interest,” he said. 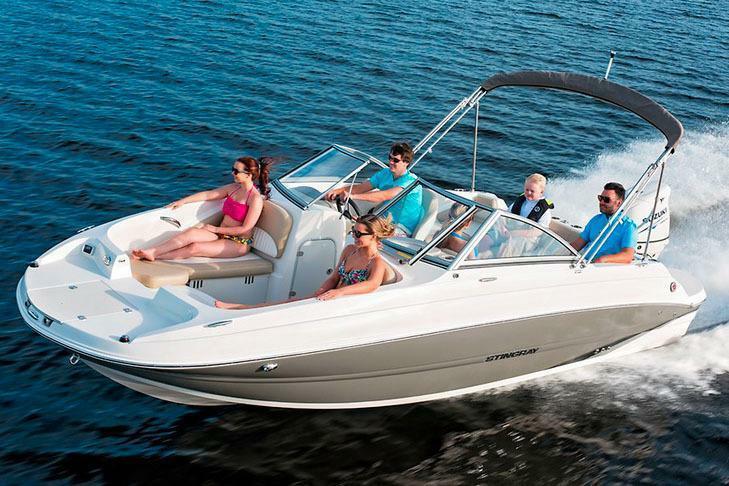 Flamin’ Dragons now has three 20-seater boats and one 10-seater boat. It is one of 11 clubs on the north coast of New South Wales that regularly competes in regattas. “Dragon boating caters for all ages. Our oldest member is 74 and our youngest is 14,” said Phil. For Phil, it certainly is a fabulous retirement, after a somewhat stressful career as a solicitor. “I live in one of the most beautiful parts of the world and get to spend time on the ocean with my wife and good mates. There are eight runs every week catering for different levels of fitness, and everyone is welcome. For people who have never been in a dragon boat before, there is land tuition and there are beginner runs. 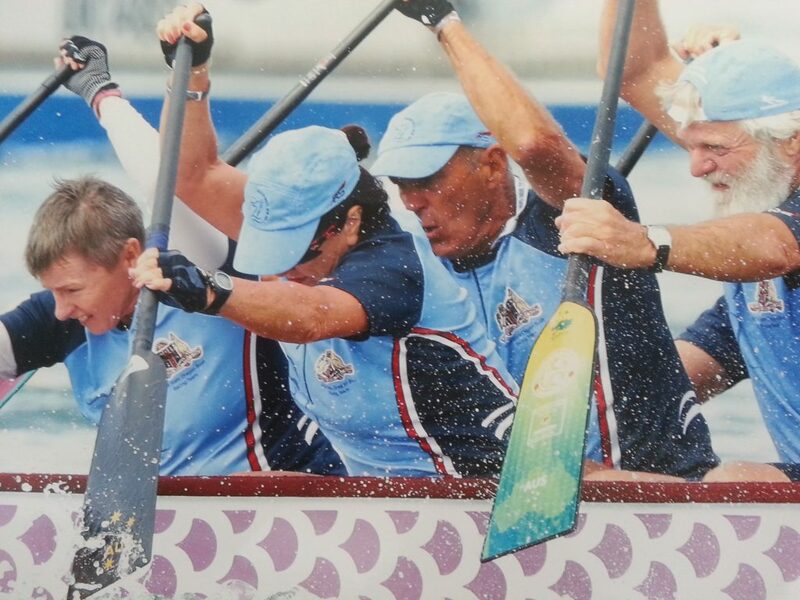 As this newsletter is published, the club is competing in the Australian National Championships at Lake Kawana in Queensland. Five members paddling at the nationals have won eight gold medals and four silver medals for the state, while the youngest competitive member – 16 year-old Tayla Coubrough, who has been paddling for just over three months – has won gold, one silver and one bronze in the state Joey’s club in her age division. “You never know where dragon boating will take you,” said Phil. 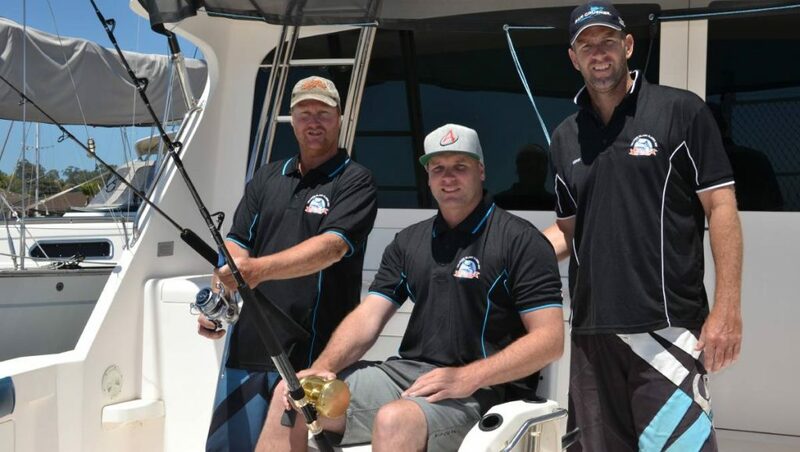 Narooma Sport and Gamefishing Annual Convention is run over three days with 24 divisions. 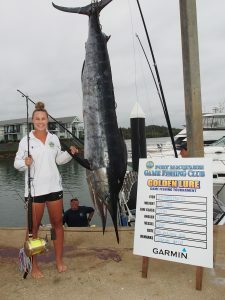 There is also the Narooma Sport and Gamefishing Club Annual Fishing Competition for families. Moruya Race Day Easter Cup for a fantastic day out in a picturesque country setting. Narooma Oyster Festival for sampling delicious local oysters and meeting local oyster farmers. The Foreshore Market is a vibrant market that showcases the talents of local artists and artisans. ArtWalk is a free annual event that opens local art galleries and museums and brings art out onto the streets at night. Ironman Australia comes to Port Maccquarie. Includes a new regional TriClub Championship.